Late Autumn In Mountains. Meadow With Weathered Grass And Trees.. Stock Photo, Picture And Royalty Free Image. Image 117160143. 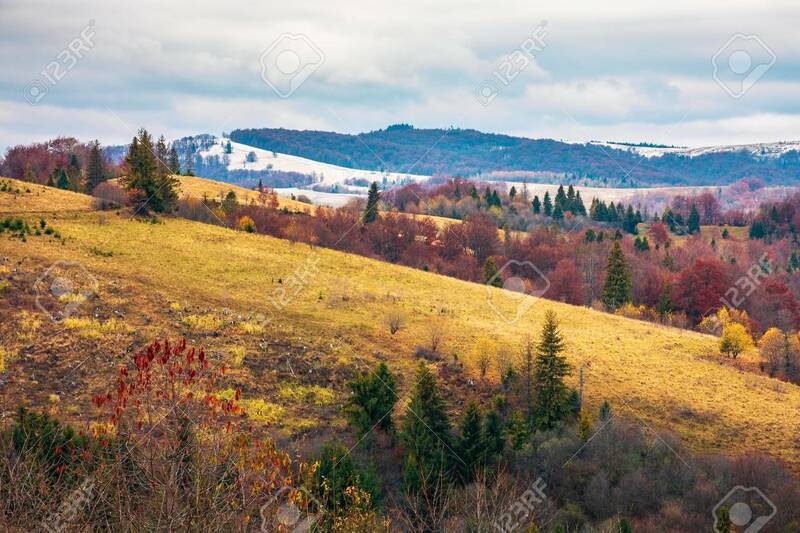 Stock Photo - late autumn in mountains. meadow with weathered grass and trees in fall color. distant hills in snow. overcast sky. gloomy november weather. late autumn in mountains. meadow with weathered grass and trees in fall color. distant hills in snow. overcast sky. gloomy november weather.